Many motorcycle accidents are avoidable if the rider is knowledgeable about good riding techniques and safety measures. Today we talk about 8 common motorcycle crashes and how they can be prevented. According to the 1981 Hurt Report, the largest study ever conducted on motorcycle accident causation, alcohol is a factor in 50 percent of all bike wrecks. This is obviously preventable. How To Avoid It: Don’t drink and ride. Alcohol affects skills that are fundamental to riding a motorcycle - balance and coordination. So drinking alcohol while riding plays a particularly big role in motorcycle accident deaths. This is the most common motorcycle accident that occurs. A car doesn't see you or thinks you are going a different speed and turns in front of you at an intersection. You can blame a lot of things, distraction, blind spots or inattention, but most drivers looking for cars only notice the absence of cars, not that there is a motorcycle in the lane. a car is at an intersection waiting to turn. there’s a gap in traffic near an intersection, driveway or parking lot. Is the driver clearly able to see you, without any obstructions? Is that person actually looking at where they are going? Are they looking at you? Can you see their eyes? Where are their wheels pointing? Look at the wheels of the car, not the actual vehicle. The wheels will give you the first clue as to where the car is going. Under no circumstances should you “lay the bike down.” Your best chance of survival comes from shedding as much speed as possible before impact, and you’re going to be able to do that best with the bike completely upright, using both brakes. Even if you only have time to lose 10 or 20mph, it could be the difference between going home with bruises and not going home. You’re out riding your motorcycle on curvy country roads when you come around a corner and hit a patch of sand or gravel. You lose control of the bike and wreck. How To Avoid It: Ride at a pace where your reaction time and ability to take action match your range of vision. On winding roads, “Slow In, Fast Out” is a good rule to follow. Enter corners wide, to increase your vision and enter at an easy pace. You can pick up the speed on the way out, once you can see all the way through. When you are riding your motorcycle and enter a corner too fast only to realize that you are not going to make the corner as it tightens. How To Avoid It: Make sure to ride only as fast as you can see and use visual clues like telephone poles and signs to judge a road’s direction, even if that road is disappearing over a blind crest. You need to pay attention to cues from the road where you are going to end up. If you do find yourself going too fast on a corner, the best approach is to trust the bike and try to ride it out. The bike is likely more capable than you are, so it’s really you that’s not capable of making the corner. Take as much lean out of the bike as possible by hanging off, looking where you want to go and being as smooth as possible on the controls. It is important to remain calm and try to ride through the corner rather than trying to stop the bike. While you are riding your bike on a multi-lane road, a car in another lane suddenly swerves into your lane without seeing you. Motorcycles are often in drivers' blind spots and the drivers don't notice them because they are looking for cars. How To Avoid It: Be aware of where other drivers' blind spots are and stay out of them as much as possible. As the signs on many semis say, "If you can't see my mirrors, I can't see you." If you can't see the driver in their own mirror, they probably can't see you next to their car. Beware of situations where lane changes become more possible. If highway traffic is slowing down and one lane is moving faster than others, cars are going to try to move into the faster-moving lane and probably won't look to see if there is a motorcycle next to them. The car has its turn signals on. The car's wheels are turning. The car is swerving in its own lane while the driver checks his mirrors. The driver’s head is moving around, looking at traffic. You are stopped at an intersection and the car behind you doesn't see you and runs into the back of your motorcycle. If you were in a car, it wouldn't be a huge accident, but on a motorcycle, you might be killed. How To Avoid It: When you come to an intersection, try to stop to the side rather than in the center of a lane. It is a good idea to flash your brake light rapidly by tapping the brake lever. Also, be prepared to move the bike by keeping the bike in gear and having your right hand on the throttle in case you see that you need to get out of the way. Pay attention to what’s behind you so you can move to avoid the car hitting you from behind if possible. You’ve seen it happen. A group is out for a ride together when one of them stops suddenly. The person riding behind him is too busy daydreaming to notice that he stopped and hits him from behind. How To Avoid It: Make sure everyone is aware of proper group riding etiquette and knows to ride in a staggered formation. You’d be amazed how many people are unaware of this simple technique. Riding in staggered formation increases vision and moves bikes out of line with each other so a temporary lapse in attention won't cause a wreck. You have to stop quickly due to traffic and you grab the front brake in a panic. How To Avoid It: Learn to use your front brake. It might seem counterintuitive, but the front brake is the most powerful and difficult-to-master component on your motorcycle. It can change your speed much quicker than your engine. If you’re learning to ride, haven't mastered this skill or bought a new bike and need to become familiar with it, find a big, empty parking lot and start practicing. From a set speed (say 30mph), start braking at a certain mark, then repeat over and over until you’ve reduced your braking distance as much as possible. You should be able to feel the tire on the very edge of locking up and the rear wheel lifting off the ground. Then go and practice at higher and higher speeds until you can use the maximum braking ability of your motorcycle reliably and safely. For more information and a free book which includes 10 Myths about Motorcycle Accidents and 6 Things to Know Before Talking to the Insurance Adjustor or Hiring an Attorney go to www.MotorcycleAccidentBook.com or Call Now (800)-707-2552, ext. 515 (24 Hour Recorded Message). Why offer a Free Book? Because since 1997, I have represented hundreds of injured Iowans including many Iowans injured in motorcycle accidents. I have seen too many clients make mistakes before they had the “right” information resulting in them losing thousands of dollars. Whether you or a loved one has been injured in an accident or just own a motorcycle, this book is available to you. Finally, you can learn about motorcycle accidents in the comfort of your own home with no risk or obligation. For immediate assistance call 641-792-3595 and ask for Corey or one of our other motorcycle accident attorneys. 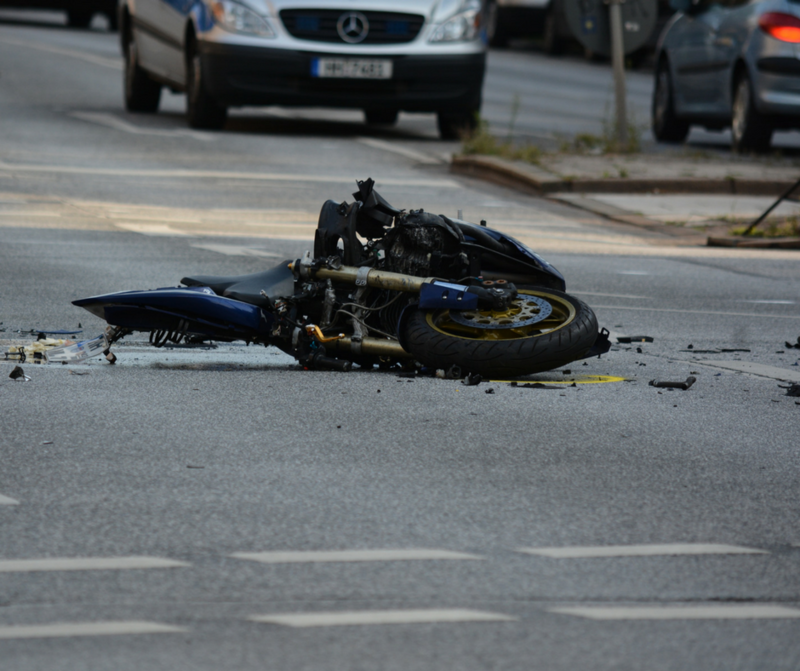 Nowadays, the ever increasing population and motorcycle accidents become prominent! Reports suggest that motorcyclists are mostly teenagers who have the zeal to break the rules and become the victim. This article has explained every single aspect of avoiding accidents. This information comes to rescue motorcyclists from any troublesome situation. If an individual follows the same, it can save someone’s life. A warm thanks to the author!